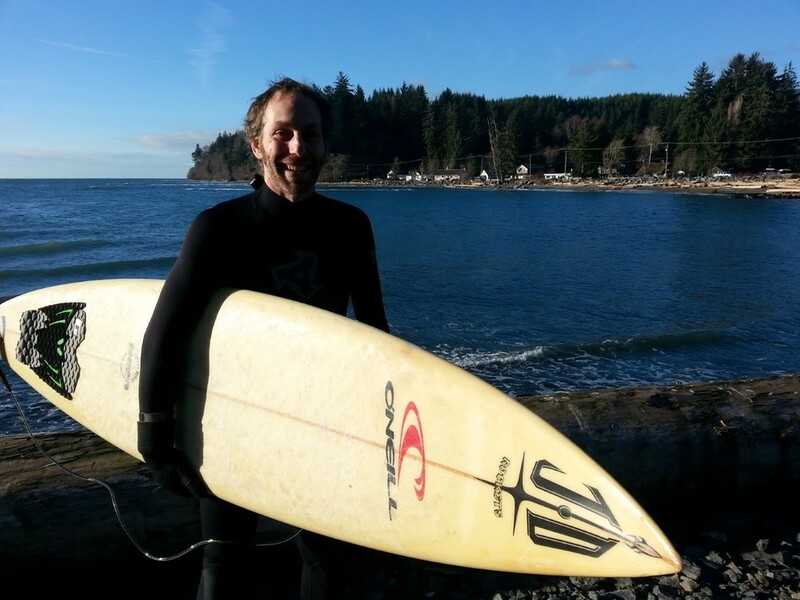 Chris lives in Victoria, BC where he writes for an alternative news website called Underground Reporter and also contributes to The Inertia, a surfing website where he represents the Cascadia bioregion by writing about the Pacific Northwest surf scene. When growing up, Chris lived in Montreal where he eventually attended Concordia University and studied cultural history. In 2012, he took a break from his studies to travel. During this time he gained a passion for surfing after catching his first wave in Peru and the experience inspired him to purchase his own board and surf the shores of New Zealand for a year. After moving back to Montreal in 2014 and receiving his Master’s at Concordia, Chris decided it was time to venture to Victoria where he could be reunited with the ocean. Another one of Chris’s many passions is bringing awareness to environmental and socially sustainable projects, motivating him to take an active role in the Cascadia movement by becoming a Cultural Ambassador for CascadiaNow. Earlier this April, he helped sponsor his first event — a monthly speaker series called Radical Rants that aims to bring the community together and give people a platform to speak out about social, environmental, and economic justice. Where did your passion for bioregionalism stem from? My father isn’t Canadian, he’s actually from Switzerland, so I’ve never able to look at the expanse of Canada in any form of a nationalistic way. I have never really understood how people who live in Cascadia or in the prairies are supposed to relate to maple syrup when they can’t produce it locally. So as I grew up and the more I started studying, reading, and visiting different parts of North America, it became quite clear that there are absolutely different bioregions. There is also the whole Quebec separation which has been a political reality throughout my life, where there is definitely a cultural group trying to remove itself from Canada and become a more refined region. How did you hear about CascadiaNow? After moving out to Victoria, one of my friends asked me if I had heard about this Cascadian movement so I did some research and just had this “Aha!” moment that this makes perfect sense. Historically a lot of cultures have been limited by their bioregional realities, some cultural features don’t even exist outside of a bioregion. For example in the instance of groups such as First Nations people or Papua New Guineans, what is the purpose of having this grand continental nation that is kind of fabricated? Bioregions allow for a greater understand of each other and our realities. Looking at the greater concept of Cascadia, I fell in love with it immediately and I felt a sort of kinship to it. What made you decide to join the Ambassador program? When I started getting into the Cascadia concept, I looked up a bunch of different groups. I’ve done some NGO work in the past and have a bit of a background in outreach so one thing I really enjoy is finding great grassroots organizations. Through my research, I found CascadiaNow to be one of the more broader and inclusive groups that is really focused on creating an inclusive Pacific Northwest Community. It was really just right on my same wavelength and that I wouldn’t feel forced representing. What was your first event as an Ambassador? I helped host an event on April 15th that was the first event of what we hope to be a monthly speaker series. A buddy of mine, who I met randomly at an activist assembly at the University of Victoria, has been trying to find out new ways to engage with people who may not see themselves as activists or may not be plugged into some of the things that we could do alternatively to foster independence on a community level such as food sustainability and try to connect with them. So he came up with the idea for a speaker series where we could bring people together and give them a platform to express whatever opinions they might have concerning our realities. I thought this was genius so I decided to work on promoting it and gave my own speech on bioregionalism at the event. Our goal is to make it speaker series with at least one event a month with the next one being on May 13th. Why are events such as the speaker series important? This serves as a great opportunity for CascadiaNow! to be implicated on a local level through the sharing of ideas. Within the broader concept of bioregionalism, we all need to start thinking about what is going on in our back yard. This serves as a great way to get out there and start finding out who our neighbors are and what matters to them while also working towards things like food sustainability.